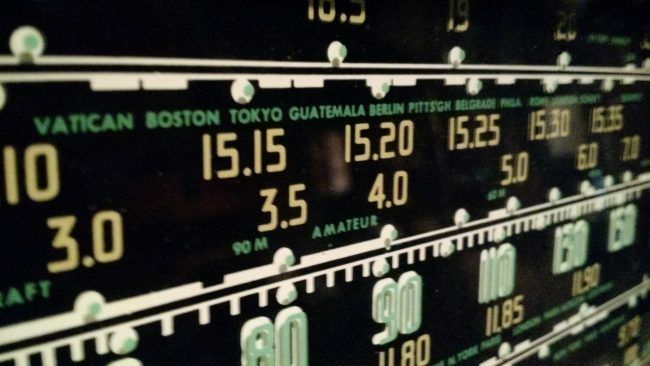 The medium wave broadcasting center of the Greek Radio in Pachi Megara is likely to go live again after three and a half years, since the procedures for the necessary maintenance and repairs have recently been initiated, with a high possibility that one of the two transmitters will operate again soon. 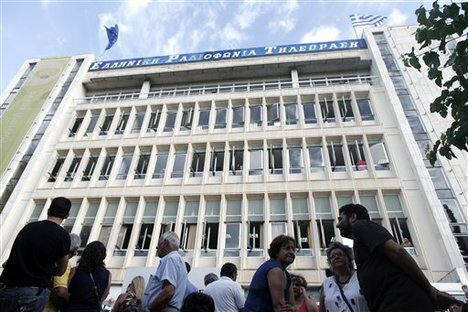 It is worth noting that the broadcasting center, which used to host two powerful mediumwave transmitters (the ones of multilingual “Filia” and of EPA Sport) had been subject to looting by burglars, few days after the ERT closure by the Samaras government, which left the premises unattended. Since then, it has not operated again. As revealed by official announcements, ERT is launching a tender for the maintenance of the building and electricity poles with a budget of EUR 18,703, while in December they proceeded with a maintenance of the broadcast center and a cleaning of the 100 KW mediumwave transmitter. In November, a dummy load was installed by a team of the ERT subdivision of structural and electromechanical projects and they checked the generator Nautel, which ensures the continuation of the broadcast in case of power outage. They also installed a new grounding network in the main building of the transmitters. Alongside, there were other smaller operations required for the safe operation of the facilities, such as the placement of fire extinguishers by a private firm, the restoration of the water supply, the maintenance of fence lighting. In October there was also a visit by a private security company, in response to a tender, whereas data were collected for the water insulation and the lighting of the buildings where the transmitters are placed. This entry was posted in AM, Broadcasters, Mediumwave, News and tagged EPT, ERT, ERT Greece, Greece, Mediumwave, Megara on January 5, 2017 by Thomas. Yesterday was the first day in nearly a month that I had turned on my SDR to record broadcasts. Between my travel schedule, getting the PC fixed, and near-constant summer thunderstorms, my SWLing has been limited to portables and sporadic travel listening. It felt so great yesterday to turn on the WinRadio Excalibur and do a little band-scanning. As I skimmed across the bands, I checked in with my good friend, the Voice of Greece, on 9,420 kHz. And, as I listened, I flipped on the “record” switch. Three hours of music with no commentary (save a little dead air) is certainly not a typical format for the Voice of Greece, so I took note. 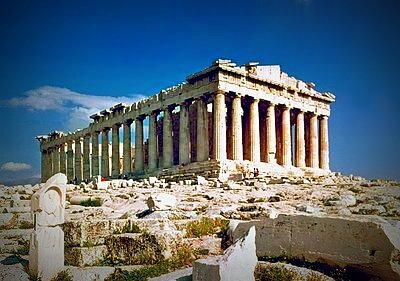 If you’ve been reading The SWLing Post for long you’ll know that the Voice of Greece and its domestic broadcasting counterparts have been going through a major shake-up. In the wake of the government closure of ERT on June 11th, within hours, former ERT journalists defiantly got back on the air. Until courts ordered the immediate re-opening of the Greek national broadcaster, the Voice of Greece was, in a sense, a very powerful pirate radio broadcaster. Interestingly, since the shakeup in June, I learned that the Voice of Greece has barely been off-air. I will try to describe…the current situation regarding the ERT issue, I hope in an objective way. …[I]n front of the Radio House in Aghia Paraskevi suburb…all the fence[s] and part of the building [are] covered by banners. Almost every [evening], concerts take place in the yard. The participant artists express their solidarity [with] those who run the ERT since 11 of June, when the government fired 2,650 employees in order to recruit some 2000 again. Two days ago, we had a night of tension as some protesters appeared on the mountain where the antennas are located…[P]olice arrested some of them. …[T]here have not been announcements about the future of the Voice of Greece. Think that some 10 million…Greeks live in the country, and some 10 [million] more [live] abroad. [The pace of] Greek summer…[is] slow. People go to the beaches or to their native villages. Everybody looks exhausted as the last two days the temperature reached 39 degrees Celsius which is 102.2 degrees Fahrenheit. Today the SKAI, one of the biggest private radio stations, fired 10 journalists add[ing] to [the] 50 [previously fired]. Now they repeat older programmes and there [is] no news broadcasted. Once again…giving you an idea [of the political] climate here…this morning the government announced the names of 2,122 teachers – public servants from technical education [–] who lost their job[s]. I hope this will be of…interest. Christos, we thank you so much for your insight and opinions about the state of Greek national and international broadcasting! We at The SWLing Post support freedom of press in Greece, and commiserate with those who have lost their jobs, especially in such an oppressively hot summer. Please do continue to keep us informed. In the meantime, I’ll be dedicating more hard drive space to spectrum recordings of VOG. This entry was posted in Broadcasters, News, Recordings, Shortwave Radio, What's On Shortwave and tagged ERT, ERT Cuts, ERT Greece, VOG, Voice of Greece, Voice of Greece Cuts on August 1, 2013 by Thomas. Greek Public Television (EDT), the replacement station for ERT which was shut down last month, has commenced broadcasting a basic signal. A screen depicting the new station’s name and somewhat uninspiring logo appeared at about 8.30am on Wednesday morning, against a backdrop depicting a globe and waves of colour. 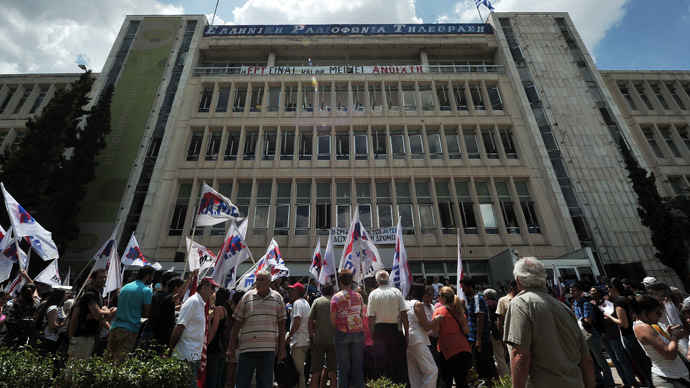 The decision to commence the signal follows the vote on Tuesday night, at committee, of a bill establishing New Greek Radio, Internet and Television, or Nerit, the new national broadcaster. The bill received only the support of the coalition parties, New Democracy and Pasok, with all other parties against. Debate on the new legislation will be completed on Thursday. Despite the move, ERT staff at the station have entered their second month of continuous broadcasting via a livestream hosted by the European Broadcasting Union, which has demanded that the station reopen. […]ERT staff are asking whether EDT has been approved by the state’s broadcasting regulator, the Greek National Council for Radio and Television (ESR). They also ask who is paying the staff working in EDT and on what kind of contracts. 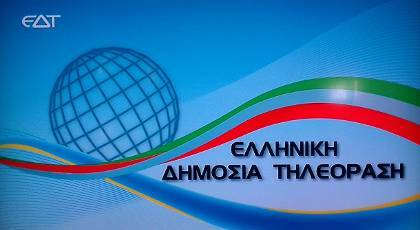 This entry was posted in Broadcasters, News and tagged EDT, ERT Cuts, ERT Greece, VOG, Voice of Greece, Voice of Greece Cuts on July 11, 2013 by Thomas.